If you're looking for something girls of all ages will love then look no further than this awesome line-up. From the ever popular L.O.L. Surprise dolls to the still popular Num Noms all the way to the fun to collect line of Smooshins I have them all right here. It's not secret that MGA Entertainment knows what they are doing when it comes to hot toys for the holidays. And I have the firm opinion of an 11-year old daughter to back that up. I say firm because when I suggested we give some of these toys to someone else she went crazy begging me to let her keep them all! Of course being the ole softy mom that I am I agreed, but with terms of course. We only opened up one of the L.O.L. Surprise dolls and she had to agree to "earn" the others for doing her chores without being asked. After seeing what was inside of the first ball she was totally on board because she couldn't wait to see what other fun surprises she got. As for the Num Noms we decided to open them over fall break last weekend to give us something fun to do together. I'm all about mother-daughter bonding time. And let me tell you making scented nail polish together was a lot of fun. Num Noms Nail Polish Maker (Age: 3+, MSRP: $44.99) includes everything girls need to make their own scented custom polish that Smells So Delicious! And finally the Smooshins set, this was a hard one for me to hold back because I too was curious to see just how it worked. I think I may have been just as into finding out what our surprise character was as my daughter. We decided since it made more than one that each of us could take a turn with this set. Yes I know it's supposed to be for kids...but that whole surprise thing gets me every time! combinations with 10,000+ accessories – Pop! Squeeze! Surprise! So I guess you could say these were kid (and mom) tested and approved. Definitely something I will add to her Christmas list so she can build on her collections. L.O.L. Surprise dolls are just adorable. My daughter would have loved this when she was young and I think I would have also. What a super gift. My daughter has been talking about her love of Num Noms endlessly and would be thrilled with any of these for Christmas! Oh too cute, I know my niece would get a kick out of this, she collects any kind of small figurine. My daughter is OBSESSED with these things! She'd be in Heaven with all of these! These are adorable and my granddaughter would love to collect these! The first two are at the top of my daughters Christmas lists, but the third is new to me! They would flip over it! I will definitely be adding it to their Holiday surprise gifts! So glad you shared this review! I have never heard of these, but they are so cute. 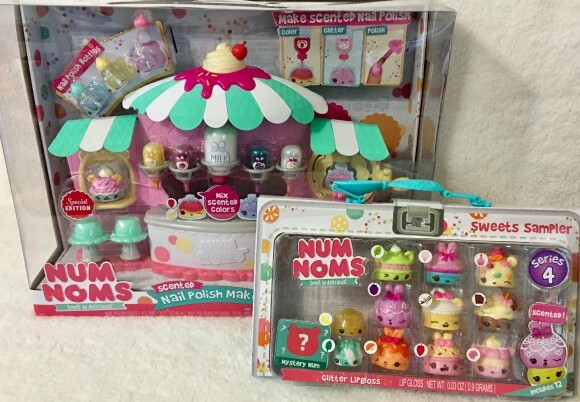 I bet my nieces would love the Num Noms Series 4 Mystery Packs! I've seen those LOL Surprise dolls all over. I am not amazed by them and happy my daughter is too young to want them! I do like the price of the small ones though! I have not seen these before. The nail polish maker is a great idea. I think having a hands on activity like this would be really fun. The tiny dolls are so cute. I liked them kind when I was little. Pocket dolls. Great for my niece nowadays. When I was a kid I used to love little mini figures like Polly Pockets. My new favorite are the Num Noms. 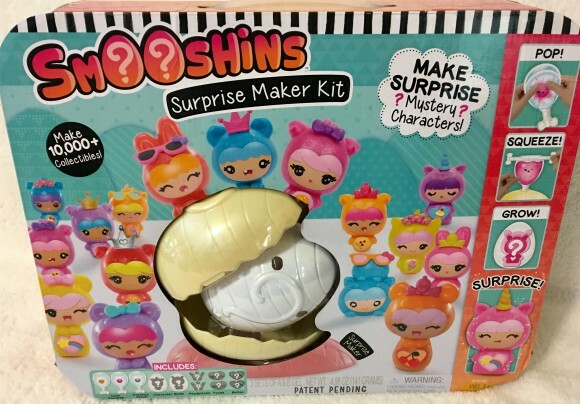 The smooshins kit maker looks like it would be fun! I have a niece that would get a kick out of this. These different kits are what every little girl or most of them are wanting for Christmas they so cute! I haven't seen the Lol surprise dolls before but thry look really cute. My girls are too old for these unfortunately but they'll be perfect for my nieces. Head a lot about Nom Noms but, not the LOL. At least I haven't seen any. My kids would love playing with these, super cute! Wow this is really neat thank you for posting about it. I'm going to look into it for my niece.